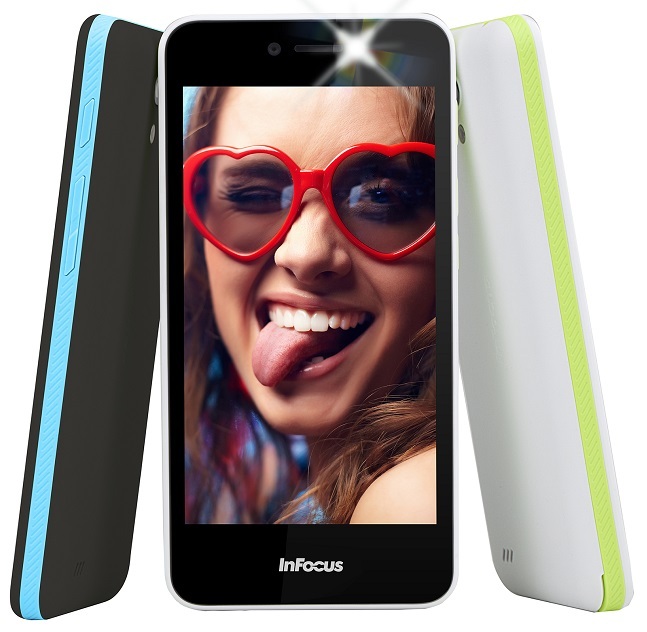 New Delhi, March 21, 2016: After receiving a resounding response to the first two launches in its youthful BINGO series, InFocus, the US-based tech giant announces the launch of yet another remarkable device in the range. The InFocus BINGO 10 is the world’s most affordable Marshmallow smartphone which offers compelling performance with its 1GB RAM, powered by MediaTek Quad Core 1.3 GhZ processor. Available exclusively on Snapdeal from March 21, 2016 onwards, the phone is priced at only Rs.4,299. InFocus has always been proactive with the roll-out of consistent software updates, basis the feedback received from the customers. The dedicated software team is continuously working to ensure that right from the time any InFocus device is boot- up, the UI and the overall software performance must add to the delight of using the InFocus smartphones, complementing the peerless design. The latest offering from the InFocus Bingo series- Bingo 10 is here to revolutionize the high-growth budget smartphone segment, by democratizing premium technology and superior design like never before! Taking ahead the our brand’s promise of making ‘Phones for Fun’ Bingo 10 lets the young smartphone user have unlimited fun with its 1GB of RAM and 5 MP selfie camera with LED Flash and features such as Face recognition, Beauty shot and Photo enhancer for the delight of selfie lovers.” He added. The InFocus BINGO 10 delights like never before and promises to make your dreams of an exceptional Android OS experience come true at only Rs. 4,299. The Marshmallow OS spruces your user experience in more ways than you can imagine. From battery life enhancements, adoptive storage, easier direct share and customizable toggles, Marshmallow allows you to do so much more and it’s no longer a preserve of premium flagship devices! What’s more?! With a 1 GB RAM and 8 GB storage, you can be assured that the Marshmallow experience will truly come to life on this power-packed device. Be it multi-tasking, scanning through several social media apps simultaneously, clicking and sharing incessant photos or gaming, you can enjoy it all in the most seamless way possible. Powered by a MediaTek Quad Core 1.3 GhZ processor, the InFocus BINGO 10 is really all that you can ask for and much more! Besides offering its users with an incredible Android experience, the InFocus BINGO 10 also lets you bask in the unbridled joy of taking wonderful selfies and shots wherever you are! Equipped with 5MP front and rear cameras, both of which come with LED flash, the phone is like a dream come true for selfie lovers. Those who love clicking themselves no matter where they are and what they are doing, will never be able to get enough of this device. Want to take an early morning shot on your way to college that you can share with your friends? Wish to click a selfie with your bunch of pals at your birthday party? This phone is all you need to take crisp and clear pictures no matter what the lighting conditions are like. What makes this cool handset all the more attractive to the youth is the two colour variants that it comes in. The white with a green twist and the black with a blue twist are the ideal accentuations for a phone as stylish, enjoyable and specs-rich as this! Not only will you love clicking the best of times with this power-packed device, you will also be the cynosure of your circle of friends with its enviable contours, vivacious colours and uber-cool design language! Priced at Rs. 4,299, the InFocus Bingo 10 is available on Snapdeal from March 21, 2016.